You might have heard about solo ads. Or maybe you know what they are, but you want to know more before you make an investment in this paid traffic source. In this article I’ll explain what solo ads are, how to use solo ads, and some best practices. Plus some things you should be careful about and avoid. So let’s get started! Solo ads are a common form of paid traffic used in internet marketing. Basically, you buy “clicks” off someone’s email list. So say there is a marketer with a big list (20,000 people or something). You might pay them say $100, and give them a link. They write up an email (or you might do it), and they start sending out emails to their list. They track the number of times that your link gets clicked. And when it has been clicked a certain number of times, they stop sending out emails. The good thing is that you pay per click, not per email. If you have a low click rate, it doesn’t matter, they just keep sending emails until you have got all the clicks you paid for. Sometimes you get five or ten percent more clicks than what you paid for, which is nice. Solo ads are relatively cheap, compared to say Facebook ads. That’s because they’re not very targeted. You can find solo ad vendors by niche, but that’s about as targeted as you can get. You can’t pick a demographic or interest beyond that. 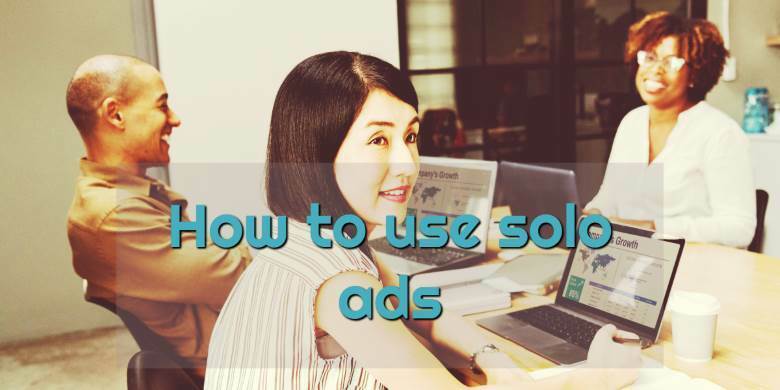 The most common way to use solo ads is list building! You are paying money for a click, and these are people who you don’t know very well and they don’t know you. So you want to make sure you don’t waste this traffic. So people usually send solo ad traffic to a squeeze page or lead page, where you can capture an email address. That way, you can effectively “copy” as proportion of someone else’s email address to your own. And then you can start emailing them. Some people are obsessed with trying to get a quick return on their solo ad investment, so they send their solo ad traffic straight to an offer. Don’t do this! If you’re lucky you’ll get one or two sales, but all that other traffic will be wasted. And you’re unlikely to generate sales sufficient to pay for your solo ad spend. If you capture emails, you can email those people again and again. So you have a much better chance of making your money back, and (hopefully) then some. Instead of capturing email addresses, there are other things you might want to do with solo ad traffic. Some people worry that email open and click rates are falling (they are, though I don’t think that email is dead or anything). And that people on solo ad lists are getting bombarded by emails and putting them on another list won’t get great results. So you can take them to a page where instead of signing up to your email list, they opt in to either browser push notifications or sign up to a Facebook Messenger bot. I haven’t experimented much with these approaches so I can’t really comment on their effectiveness, but they could definitely be worth looking into. Another common tactic is to follow up the opt-in with an offer. So instead of just sending people to a page where you ask for an email, you follow up with an offer, i.e. redirect on sign-up to a thank-you page. This is usually made part of the opt-in request. So instead of asking people for an email in exchange for a lead magnet, you ask for an email in exchange for seeing an offer. “Free video shows how this marketer is making $300 per day with free traffic! Put in your best email to get access”. And of course the “free video” is a video sales letter on a sales page. Now this is cold traffic. People who have no idea who you are and have probably never heard of this product. So the conversion rate will be low. But even if it’s 2%, then if you buy 200 clicks and get a 50% conversion on your opt-in, you’ll make one sale (1 out of the 100 people who put their email in and get to the sales page). So that sale will go some way towards paying the cost of acquiring those 100 people onto your email list. You can buy solo ads either at a marketplace, or as a private sale. There are a number of big marketplaces where solo ad buyers can match up with a solo ad seller. The biggest and most well known is Udimi – this is where I have bought my solo ads in the past. I think at the moment they are offering $5 towards your first solo ad purchase. So this could be worth checking out. It’s a pretty good site. There are lots of sellers, you can see their ratings and history, price, and so on. Obviously, the price and quality of the traffic will vary from vendor to vendor. There are other big marketplaces like Solochecker and SoloAdsX, if you want to try some other sites. You can also go with a private seller. I don’t use these guys so I’m not going to point to this person or that person. Just do some googling and you’ll find hundreds of people with a website, selling clicks to their list. The advantage is that opposed to a marketplace, there is no middleman, so you might get a better deal on the price. The disadvantage is that it is a bit risker. Udimi screens sellers and they have a feedback system. People selling fake crap traffic usually get sniffed out and turfed pretty quickly. So it’s up to you which way you want to go. I think if you are just starting out, I would start with a big marketplace, since you are a bit more protected. Udimi is easy to use and has a good reputation – that’s where I started. So maybe check it out. Research your solo ad sellers! Make sure you do some research before you buy solo ads. Check out the seller – what is their niche? How did they build their list? How long have they been around and what is their rating? What percentage of their traffic is Tier 1? (Higher is better – Tier 1 countries are wealthier and spend more money than other countries). What sort of testimonials do they have? I wouldn’t use opt-in and sales rates as indicative of their performance though. If people buy traffic and send it to a crappy opt-in page and a bad offer, that’s not the fault of the solo ad vendor. It’s the fault of the traffic purchaser! You just want to make sure that it is real traffic, that has the potential (with a good funnel) to get results. Here are some extra tips to get the most out of your solo ads. Instead of sending your actual landing page or offer to the solo ad seller, send them a clicktracking link. This is really important for protecting your investment and analysing your results. If you sign up for a clicktracking service, they will give you the ability to create custom links that you can then redirect to your actual target (landing page, offer or whatever). Clicktrackers provide a bunch of services and useful features, many of which I am still discovering. But one of the most useful is that they show where traffic comes from. So if your solo ad seller claims they offer 90% Tier 1 (USA, Canada, United Kingdom, Australia, New Zealand), but your click tracker shows half of the traffic came from IP addresses in Pakistan, you know you’ve been duped! If you’ve bought through a marketplace like Udimi, you can let them know, and they should look after you. Clicktrackers can also do more complex things like conversion tracking (so you can test links or clicks against each other and see which converts more), link cloaking, and more. Clickmagick is the biggest and best player in click tracking – I don’t know anyone who uses anyone else. So I would definitely recommend you go sign up for Clickmagick before you start doing solo ads. It will help protect your investment, give you better analytics, and give you a better return on investment. So what happens to all those people who don’t optin at your landing page? That traffic’s gone forever, right? Well, yes and no. Those people have gone, but if you set things up right, you can get other chances to pay them a visit! Though it will cost you a bit. If you are sending this traffic to a page you control (like a page on your WordPress site, or a funnel you have built with BuilderAll or something), then you can install any scripts or pixels or anything you like there. So what you can do is install a Facebook and/or a Google pixel on your landing page. Then all this solo ad traffic gets added to your pixel! 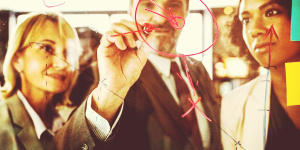 You can then run retargeting ads to those people – Facebook ads and Google Display Network ads. These retargeting ads have a higher clickthrough rate and therefore higher conversion rate and lower cost per click than random campaigns just targeting by demographics, Audience Insights, etc. If you want to know more about this, you can read my article on retargeting. Or even better, I would recommend doing the course called Increaserr. This is a high quality course by marketing experts who go into great detail how to do this very technique – solo ad to a squeeze page with multiple retargeting pixels, leading to an offer page, followed by a “triple threat” of Facebook ads, Google Ads and email ads. It’s one of the best courses of 2018 and if you are going down this route, you should check it out. It can double or triple your return on investment in your solo ads. You must make sure to email your new subscribers after your solo ad has added people to your email list. Using an auto-responder like GetResponse (the best one around for my money), start sending them follow-up emails. I would start with a mix of value emails and emails about the offer that they saw. Just because they didn’t buy then doesn’t mean they won’t ever buy it! Most people require an average of six or seven interactions with a product before they will buy it. You can then move them onto your general auto-responder sequence, which should be sending a mix of value and promotional emails every day. Ideally, these subscribers should pretty quickly pay back your investment on your solo ad, at which point you are just printing money by sending out emails. Well I hope you found this article on solo ads useful and interesting. Do you have any more questions, about anything I didn’t cover? Leave them in the comments!